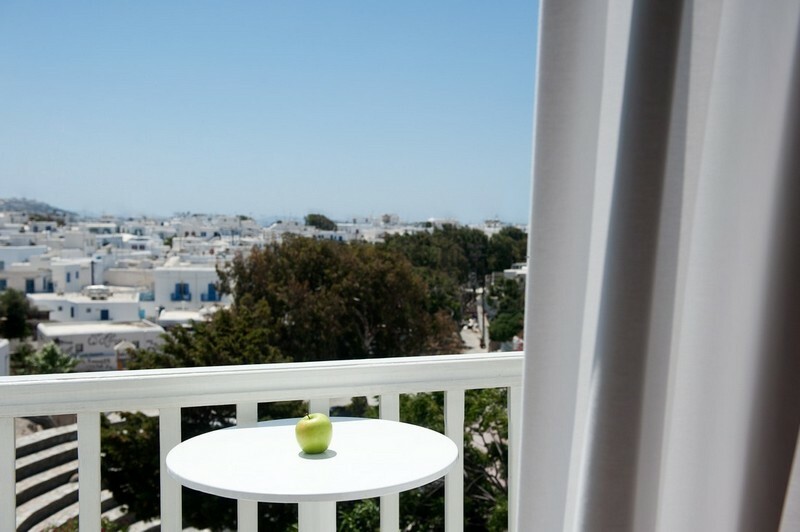 ELENA MYKONOS | SEA VIEW HOTEL IN MYKONOS TOWN CENTER Supremely situated right in the center of Mykonos Town, however accessible by car, Elena Sea View Hotel in Mykonos Town is the ideal accommodation starting point,..
Supremely situated right in the center of Mykonos Town, however accessible by car, Elena Sea View Hotel in Mykonos Town is the ideal accommodation starting point, for visitors who wish to enjoy everything they desire, within just a few moments of walking and strolling around. 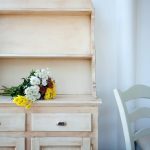 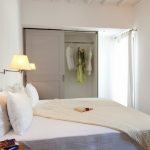 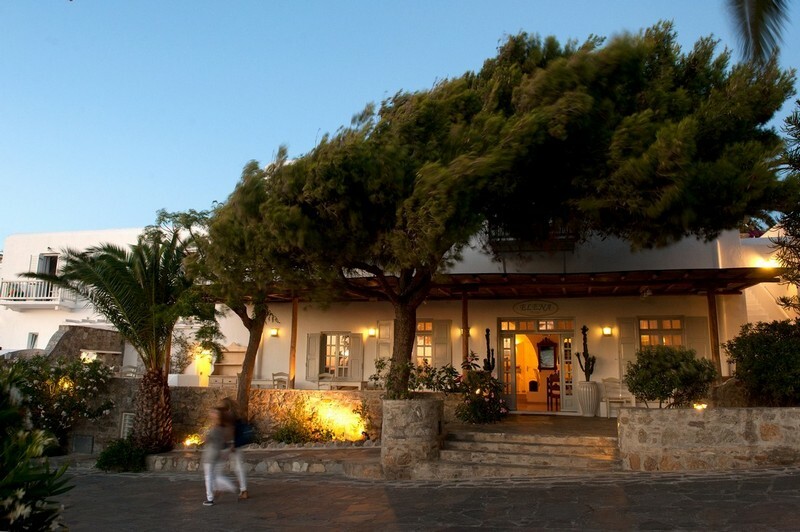 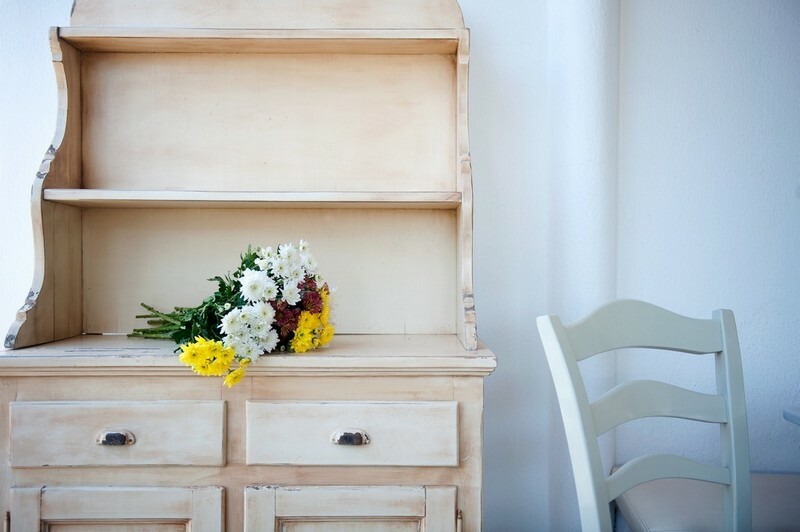 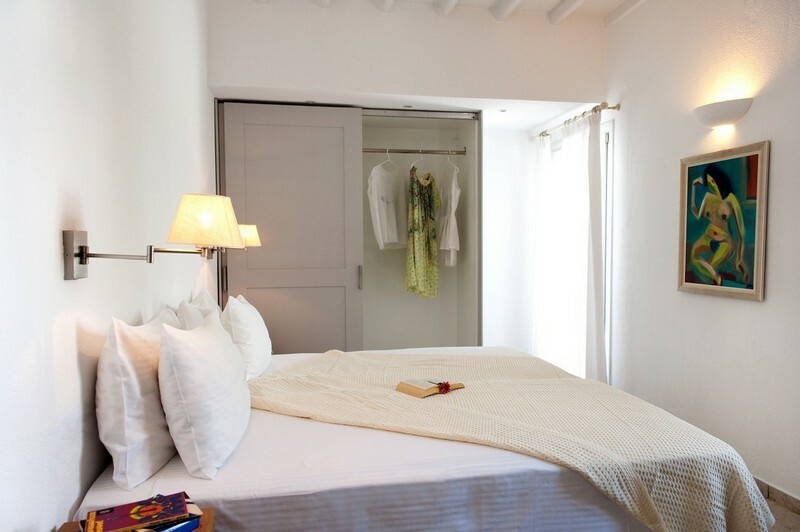 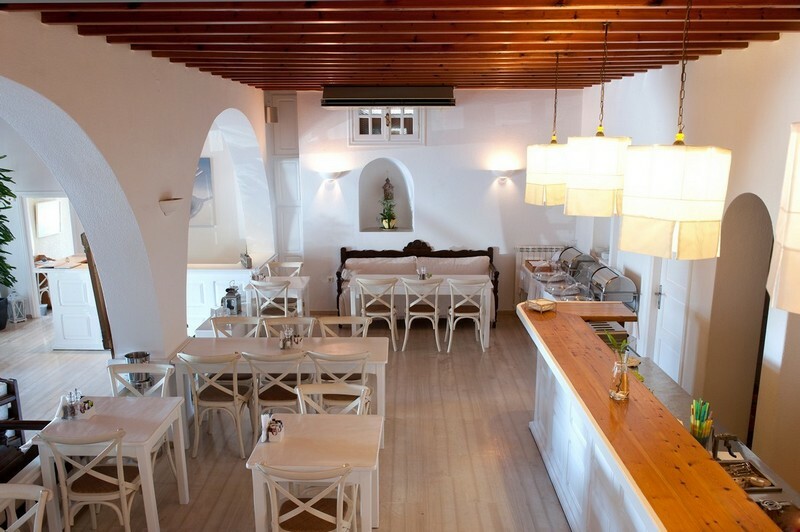 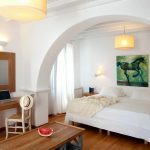 All kind of retail shops, restaurants, cafes, bars, clubs, galleries, seaside, sights, Little Venice, Windmills, simply everything is right on guests’ foot, just a few minutes walk away, making for an ideal, central accommodation in Mykonos Town Center, Greece. 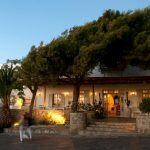 The bright Mykonian design aesthetics of the hotel’s interior and exteriors, combined with the simple Cycladian-Style design lines and the natural materials of wood and stone, create an environment to experience a genuine Mykonian accommodation. 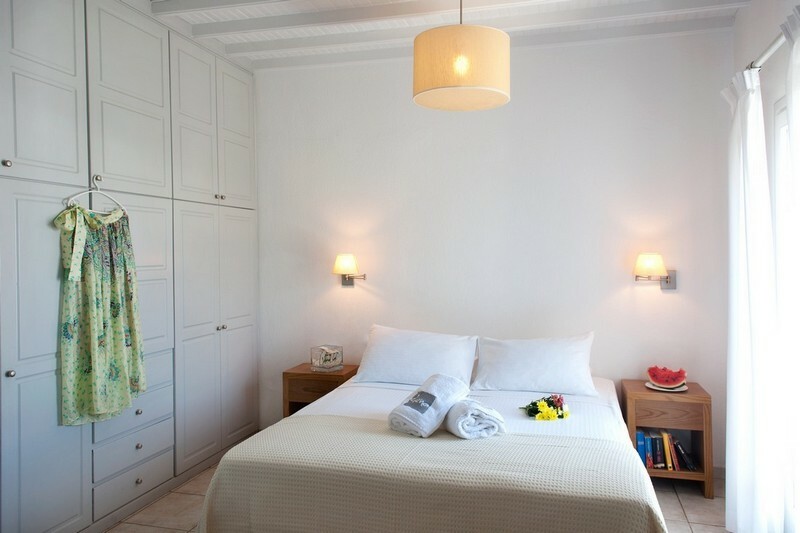 Shiny clean accommodation in comfortable, spacious rooms & suites, with a rich breakfast and cleaning service is provided daily for guests’ convenience and joy during the unique Mykonian summer holidays. 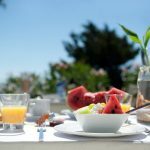 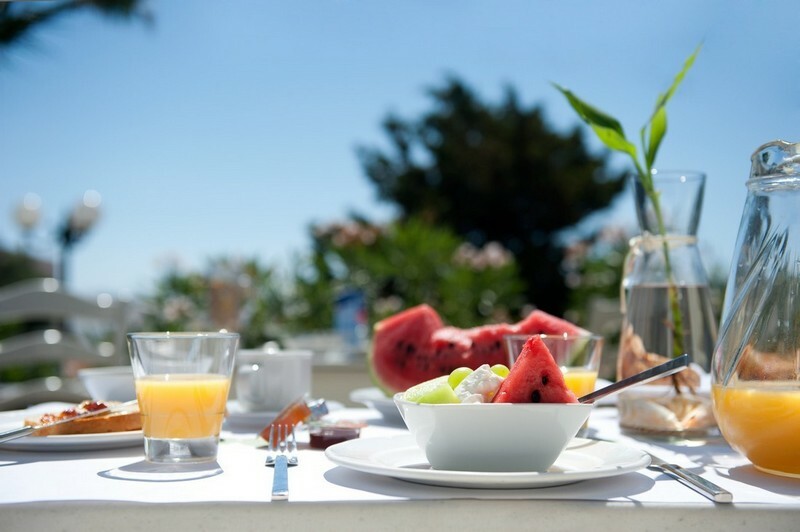 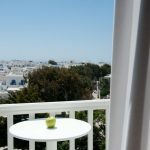 Furthermore, Elena Hotel in Mykonos offers a wide range of room types to cover all needs, such as standard rooms, sea view rooms and deluxe junior suites. 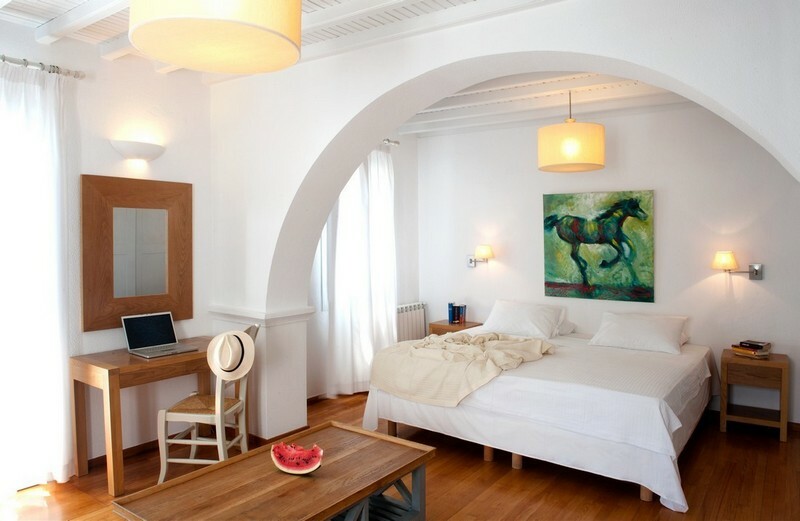 The affordable rates tempt all Mykonos Island visitors who wish to experience authentic Mykonian hospitality in standard accommodation or sea view accommodation in Mykonos Island, Greece, whilst he minimal chic design of the rooms and hotel’s interiors with the soothing colours, ensures a relaxing atmosphere for all travellers of Elena Hotel in Mykonos Town, in a friendly and genuine local ambience.